There are currently 3,289 users on this website. 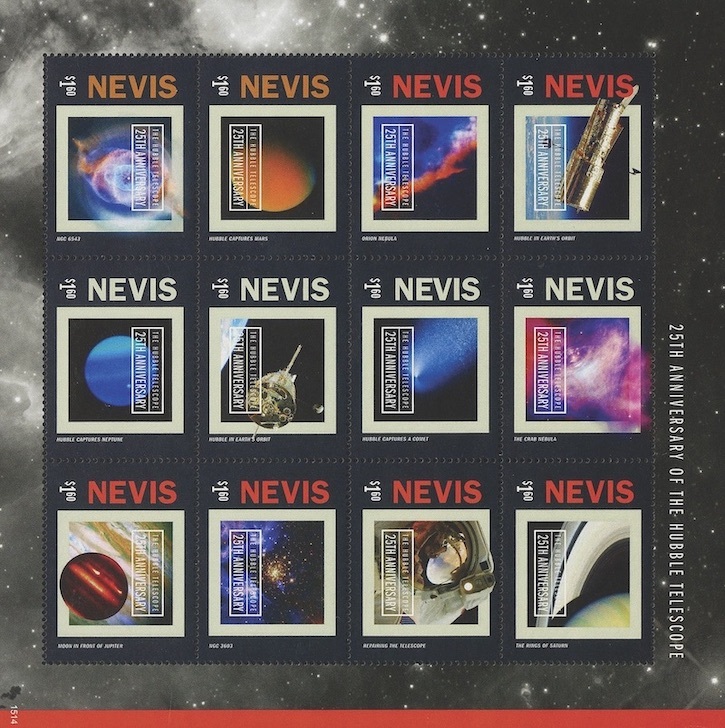 Anyone Know Which Of Jupiter's Moons Is Pictured On The 2015 Nevis Hubble Anniversary Stamp Sheet? I couldn't find information in Scott and the sheet itself doesn't say anything. It's the stamp in the bottom-left corner. I thought it might be Ganymede because I saw some photos on NASA's site that showed streaks across the surface that looked similar, but I'm really not sure. The stamp doesn't look much like any of the photos of any of Jupiter's moons to be honest. Sometimes I think they enhance photos a little too much when they use them on stamps... I still like to know what I'm looking at.